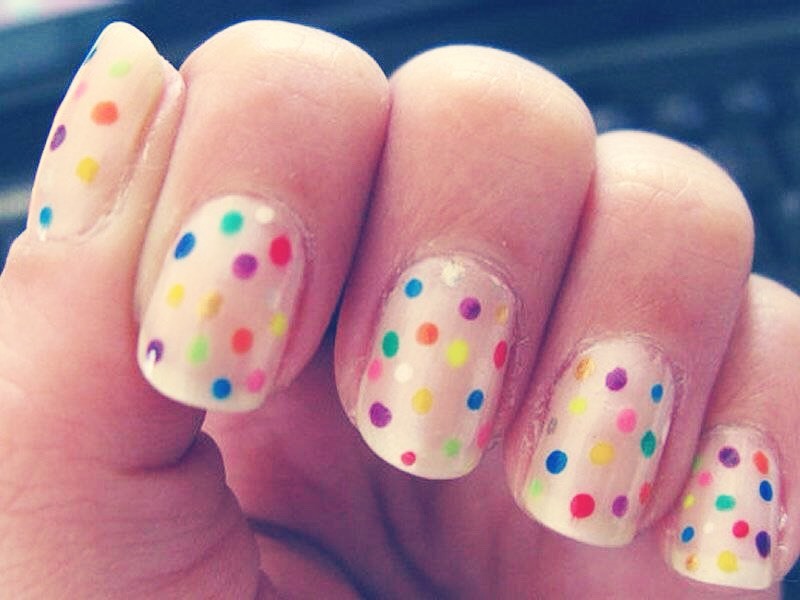 Neat Ideas To Try On Your Nails! 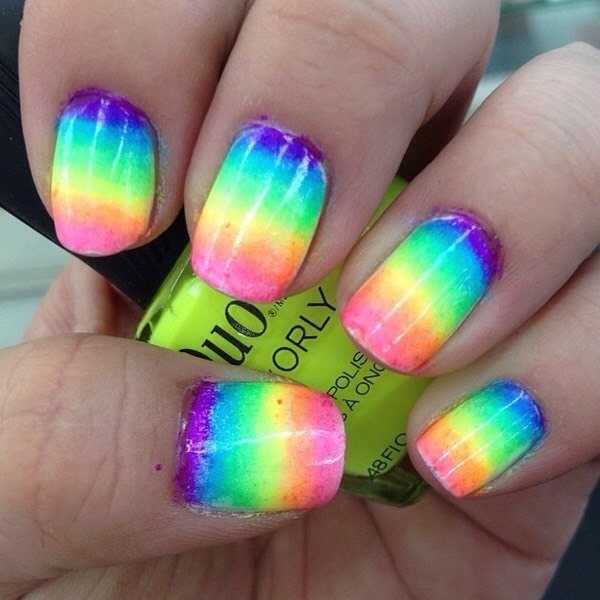 Start by making a tiny rainbow like pattern on your nail. Use tape if you need to. After doing the rainbow technique, use a toothpick or something with a sharp end on it to make it look like a ripple effect. Don't push too hard or you will take all of the polish off! 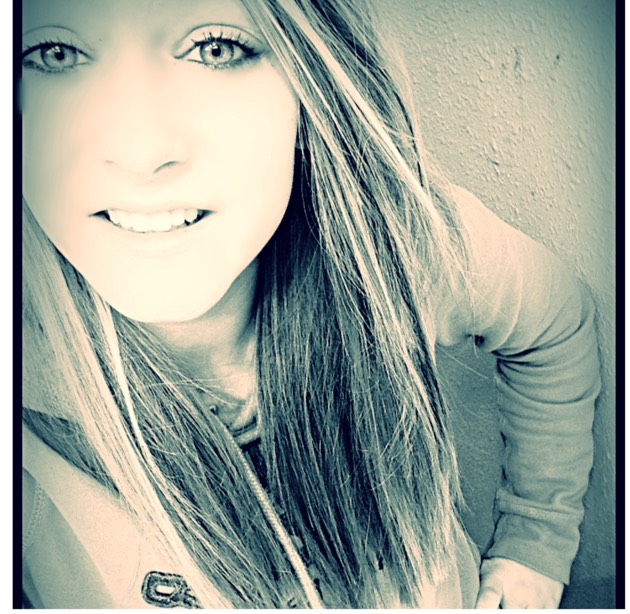 Your going to have to use water. 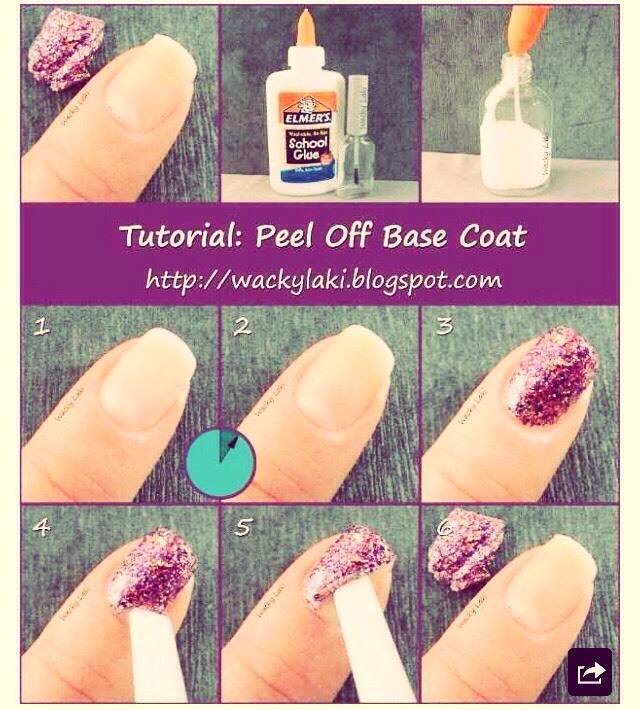 Put your desired base coat color in the water and make sure there is enough of it to do 10 nails. After that, dab your desired design color onto the base coat color. Put tape over your cuticles and gently dip your fingernails into the concoction and viola! 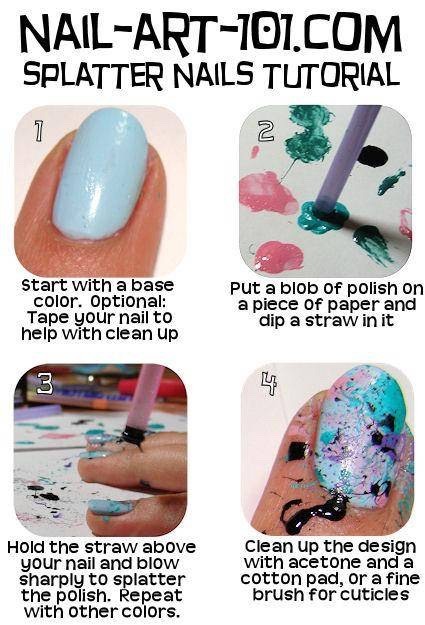 Well the tutorial is in the picture but use a straw to splatter the polish into different places! 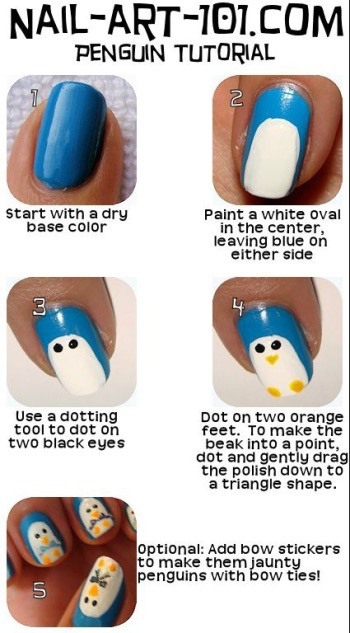 The tutorial is also in the picture on how to make a cute penguin! Have fun trying this out! 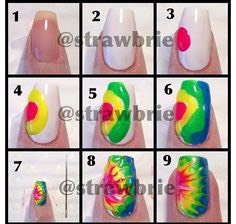 Use a sponge to create cool ombré design! Use a Light color as a base. On a flat surface, swirl the two polishes with a toothpick. Dab a sponge onto the polish and then blot onto your nails and the to quickly get them to dry use Pam!